Currently in its eighth season, the show is different from other series, since the characters talk directly to the camera, making their style unique. Modern Family started in 2009 with three families, and it has never failed to make us laugh. The story and the characters are perfect and viewers get addicted to them, no wonder the show has won Emmy Award for Outstanding Comedy Series in each of its first five years! Currently in its eighth season, the show is different from other series, since the characters talk directly to the camera, making their style unique. So today we bring you some unknown facts about Modern Family that will make you love the characters more. 1. Nolan Gould, the actor who plays Luke has been a member of Mensa since he was 4 years old. He has an IQ of 150 and graduated high school at the age of 13. Since then he is taking online courses and acting too! 2. Sofia Vergara, who plays Gloria, is from Colombia. Records tell that one brother of hers was murdered and the other went for jail nearly 30 times for drug abuse. 3. Eric Stonestreet is straight. 4. Ariel Winter, who plays Alex, has a purple belt in Taekwondo. 5. Sofia Vergara was diagnosed with thyroid cancer in 2000 when she was 28 years old, but had a full recovery after treatment. 6. Sarah Hyland who plays Haley Dunphy had a kidney transplant with a kidney donated by her father in 2012. 7. 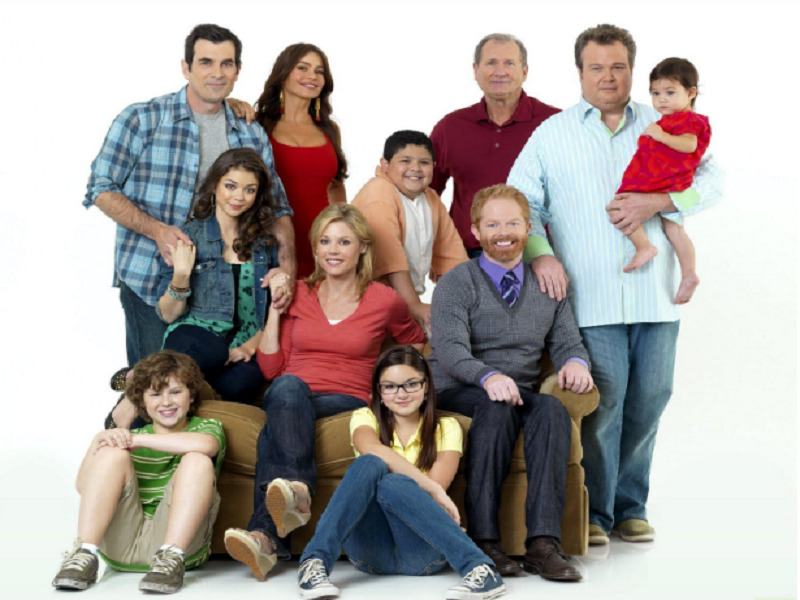 Modern Family was the first ABC series to win the Emmy for Outstanding Comedy Series in 22 years. 8. Manny’s full name is Manuel Alberto Javier Alejandro Delgado in the show. 9. Mitchell and Jay’s father-son relationship is drawn from Jesse Tyler Ferguson’s real life. His father never believed that Tyler is really gay. 10. Phil Dunphy used to live in Salt Lake City and co-owns a bar with his brother Duncan called “Bar-X”.